We offer two styles. BA-NET43 is made of fine nylon mesh with a twisted metal vinyl coated handle. The net is 4″ x 3″ and about 3″ deep. 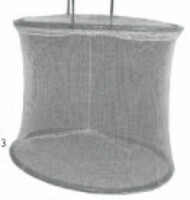 BA-NET44 is a custom made net, made with fine nylon mesh and a solid aluminium handle. Net is 8″ x 10″ x 8″ deep. 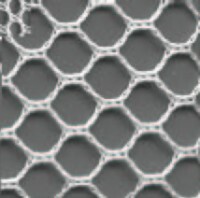 Net on this frame can be replaced when needed.